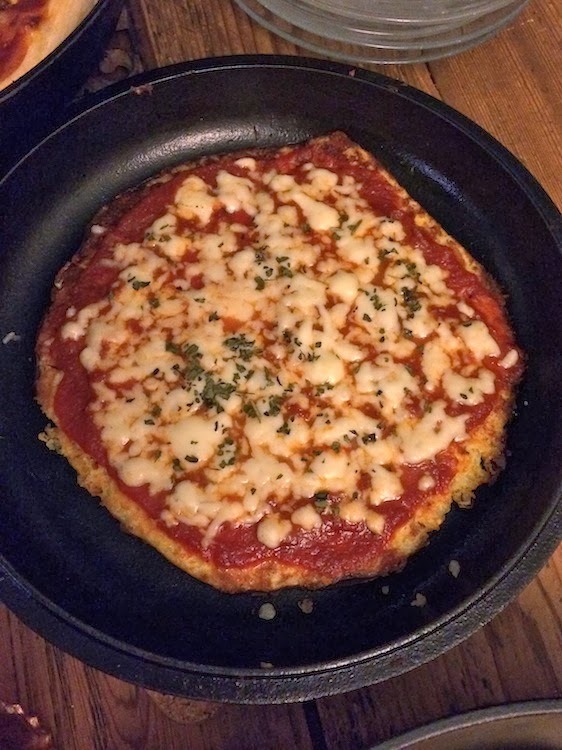 Amongst the many wonderful recipes and things you can find on Pinterest, I (semi) recently discovered a recipe for a gluten free cauliflower pizza crust. A lot of people in my life are gluten free so I am always on the lookout for new recipes to try and share with them, anything to make life a little easier. So naturally, I couldn't wait to give it a go. The recipe was simple and came together quickly. I've made it twice now and tailored it a bit to my tastes (less salt and garlic and different cheeses). While it's not actual bread, it does prove to be a close second. The cauliflower takes on the flavors of the cheeses and spices it's mixed with and holds up pretty well to the weight of the sauce and cheese topping. I have been so pleased with the results. And an added bonus, you can just melt a little crushed garlic and butter on top and turn it into garlic (almost) bread! Chop cauliflower into florets and steam until soft. If you have a ricer, put the cauliflower through it. If not, mash it in a bowl until it is well, mashed. Add the mashed or riced cauliflower to a medium bowl and combine with the cheeses, egg, oregano, and garlic salt. Prepare your baking sheet by spreading a small amount olive oil on it. An olive oil spray is just fine as well. Spread the cauliflower mixture on the baking sheet, using your hands to pat it down, making sure it's even. Thickness depends on how your prefer your crust. 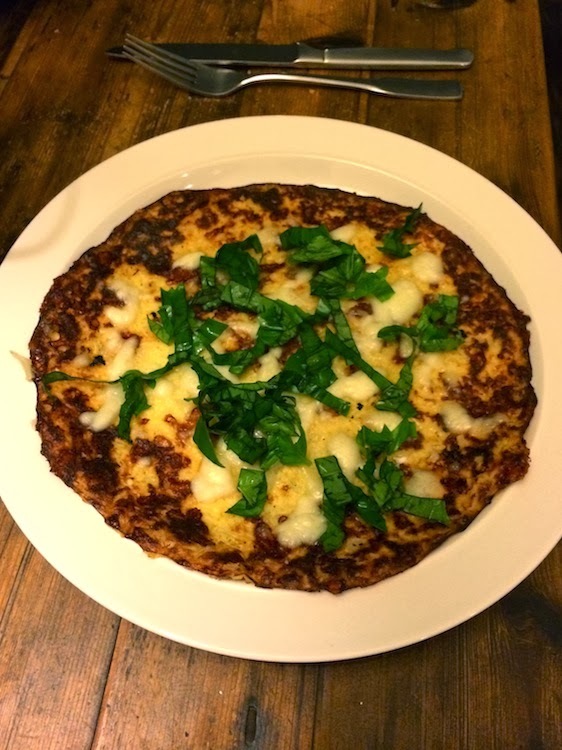 We have noticed that a slightly thicker crust works a bit better, supports the weight of the sauce and cheese. Decorate your pizza, and pop back in the oven until cheese is melted. Remove, serve, and enjoy!